Off-the-shelf and custom designed laser-etched keypads and power switching modules for digital power switching in marine, RV, and power-sports applications. 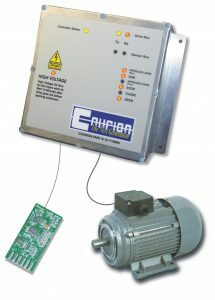 We have extensive experience designing and manufacturing motor controls for brushed and brushless DC motors, stepper motors, and line-frequency and variable-frequency AC motor drives. 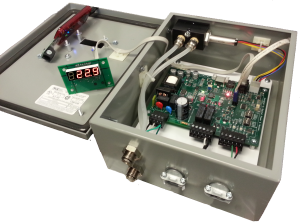 From small DC motor speed/position control to high power stepper drives for proportional valve positioning to custom VFDs for opening and closing elevator doors in hoistways hundreds of feet high. We design and manufacturer gas analyzers utilizing zirconium dioxide sensors for measuring the amount of oxygen in a gas flow. In addition to monitoring the output from nitrogen generators, these have applications in the automotive, health care, and fire prevention industries. 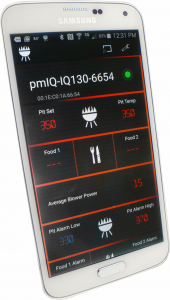 We design and manufacturer a line of Automatic Barbecue Controllers for charcoal grills and smokers for pitmasterIQ.com. Experience designing and manufacturing many other controllers for OEM equipment including Air Compressors, Valve Actuators, Elevator Doors, Battery Chargers, Roller Mills, Hydraulic Presses, Band Saws, Car Washes, and Tread Mills. 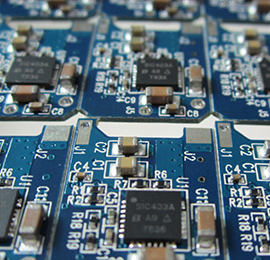 We develop apps to control our products via Wi-Fi or Bluetooth. 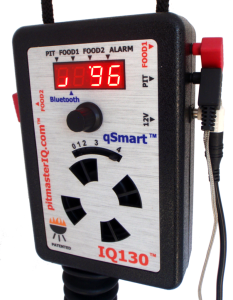 Our pitmasterIQ IQ130 is controlled by our qSmart app via Bluetooth Low Energy (BLE 4.0). Our high-power BLE module connects up to 750' away! 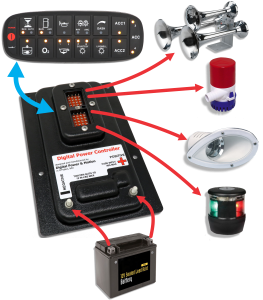 Our line of Digital Power Controllers also has a Smartphone control option. © 2018 Digital Power & Motion, LLC. All rights reserved.